To even begin to give a comprehensive history of publishing in India is an almost impossible task. A country of 1.22 billion – more than one-sixth of the world’s population – where there are 34 regional languages (36, including the official languages Hindi and English) and distinct dialects numbering in the hundreds, where documentation is patchy and statistics both scarce and unreliable, a report on the current size and variety of the publishing industry – let alone an accurate description of its history – has to necessarily rely on anecdote, hearsay and guesswork. Even estimating the current size of the Indian book market is difficult. According to the Federation of Indian Commerce and Industry (FICCI) it is estimated at around Rs10,000 crores (including imports) – around 137 million euros. With between 90-100,000 titles published every year, India is the eighth largest publisher in the world, and the third-largest English language publisher after the UK and USA. The children’s book market is the fastest growing sector in the industry, accounting for around 15 per cent of the total. Of this, around 60 per cent is textbook publishing, and the remainder non-textbook trade publishing, which is the focus of this essay. According to the 2001 Census, nearly one in four Indian citizens is illiterate, with female literacy at 65.5% per cent lagging considerably against male literacy at 82.1 per cent, with a wide variation between states, with Kerala at one end of the scale with 93.9 per cent literacy, and Bihar at the other, with just 63.8 per cent . Given the country’s linguistic and cultural diversity, its social inequalities and gender biases, its geographical spread and its mix of regulated and unregulated commercial activity, it is hard to escape the old cliché that India is a land of contrasts, and that whatever you can confidently say about the country, the opposite is also equally true. With that caveat in mind, however, it is possible to identify some of the broad trends that have shaped the children’s book industry over the past five or six decades, to gain a better understanding of the size and scope of the market today, and perhaps even speculate what the future may hold. In the years following 1947, there seemed to be no more crucial project than self-reliance. The government policies of the newly Independent state, led by Prime Minister Jawaharlal Nehru, were designed to bolster and encourage Indian industry, agriculture, power generation and so on, throwing off the centuries of colonial rule which had suppressed and, in some key areas (notably cloth manufacturing), decimated national production. At a time when the literacy rate was anywhere between 15 and 30 per cent, education was high on the agenda. With the introduction of universal primary education, the number of students rose dramatically, from 15 million in 1947 to over 120 million by 1983 . (The number of schoolchildren today is estimated to be around 194 million – 135 million at primary level and 57.8 million at upper primary level ). To cater to this new population of students, textbook publishing was brought under government control. Foreign publishers – such as Oxford University Press, Longman Green, Blackie & Son, and Macmillan, for example – were allowed to stay on in the country, but with a minority shareholding: a policy designed specifically to help develop Indian publishers and Indian authors to grow. That would, of course, take time – and there was a pressing need for good reading material for the country’s schoolchildren. To this end, the Ministry of Education entered into reprint/translation agreements with the governments of the UK, USA and Soviet Union to publish subsidized editions of key books for use by students. Apart from textbooks, this also resulted in a flood of children’s books – particularly from the Soviet Union, and particularly in states such as Kerala and West Bengal which were, themselves, Communist-led. Indeed, today’s grandparents are as likely to fondly recall the stories of Baba Yaga, the Frog Princess or the Humpbacked Pony from their childhood days as they are tales from the Indian epics. In the years after Independence, children’s book publishing was seen not simply as an economic enterprise, or even an altruistic one, but part and parcel of a nation-building exercise. There were at that time, few publishers of children’s books operating independently, and in order to cater to the country’s children and neo-literate population, Nehru set up the National Book Trust, under the Ministry of Human Resources, in 1957. Its mission was, in Nehru’s words, “to make available books recognized to be good at a low cost and create climate for book reading and book buying among the vast number of the people in the country… it will also serve as a kind of ‘book hospital’ for finding out what generally stood in the ways of the books being purchased and read.” The NBT still carries out at least the first part of its founder’s vision, producing children’s books – from illustrated story books to books on great leaders, on science and technology and some fiction for older children – all at a price far below what any commercial publisher could achieve. In 2010-11 alone, it published 2,312 titles (including translations, revised editions and reprints), largely distributed through non-retail channels, via its regional book fairs, book clubs and exhibitions. In the same year as the NBT was set up, one of India’s most popular political cartoonists, K. Shankar Pillai, founded the Children’s Book Trust, another august institution which continues its work even today. According to one-time CBT and NBT editor, Mohini Rao, the early days of Indian children’s publishing were informed by conflicting values and priorities: “On the one hand, there was an anxiety to assert our identity as an independent nation, and make our children proud of their country and their national heritage, and on the other hand, there was awareness that advancement of scientific knowledge and creating a scientific temper was equally important for progress and development” . The CBT and NBT lists still to a certain extent reflect this dual impulse, to be both morally uplifting and informative, with a mix of fiction and non-fiction titles. Both publishers were able to keep cover prices low – NBT with government subsidies, CBT using the profits from its own printing press to subsidize its publishing programme – enabling them to reach out to a mass audience (though CBT on a much smaller scale) in a variety of Indian languages [fig 1 and 1a]. Alongside these government, or quasi-governmental institutions, family-owned, private publishing houses such as Rupa & Co, Hind Pocket Books/Full Circle and Sterling Publishers began to grow, and are still managed even today by the children or grandchildren of their original founders. In the 1960s, the immensely popular Amar Chitra Katha began producing their comic books, featuring tales from the Indian epics, of gods and goddesses, of legends, myths, and heroes. Alongside ACK comics, and given the dearth of good children’s books at the time, many Indian children found their reading material in children’s magazines, such as Chandamama (in Hindi), Kishor (Marathi), and Children’s World (English). In the ‘regional languages’ – something of a misnomer, since these publishers, often ignored by mainstream industry analyses, accounted (and still account) for the lion’s share of the country’s publishing output – publishing houses such as Shishu Sahitya Samsad (founded in 1951 by Mahendranath Dutt, a major figure in the freedom struggle) in Bengali; Uttarsha Publications and Mehta Publishing House (1976) in Marathi; Atma Ram & Sons and Hemkunt in Hindi, Kitabghar in Urdu, and a host of others were publishing an array of high quality literature for their readers. In Calcutta (now Kolkata), Sukumar Ray started the popular Bengali children’s magazine Sandesh, and his son, Satyajit Ray, as well as being the internationally acclaimed film director (and, coincidentally, designing the logo for Rupa & Co), wrote some of the most popular stories for Bengali children featuring the teenage detective, Feluda. Other luminaries such as Leela Majumdar and Premendra Mitra are still popular today, not only in Bengali but in translation in many languages, including English as part of the Puffin Classics series published by Penguin today. In Marathi, Sane Guruji’s Shyamchi Ayee and B.R. Bhagwat’s Faster Fenny became immensely popular characters, comparable to Swami, the impish central character of R.K. Narayan’s 1943 collection of short stories in English, Malgudi Days, which went on to become a televised serial in the late 1980s. Narayan and these other authors were distinguished writers in their own right, who chose to write stories (and in Marathi playwright Vijay Tendulkar’s case, plays) for children, seeing children’s literature as no less challenging nor rewarding than ‘adult’ literature – and perhaps an area of even greater imaginative possibility. Despite this, and despite the missionary zeal with which the government and private institutions strove to promote Indian authors and Indian content, the post-colonial legacy was not so easily supplanted. Books by Enid Blyton, with their quintessentially ‘little Englander’ characters and settings could hardly be more culturally remote to their young Indian readers and yet continued to be massively popular, at least among the middle- and upper-middle classes. Ask any Indian parent today to name a children’s author, and two names invariably come up: Enid Blyton and Ruskin Bond. They make an interesting pair. Of English parentage, but an Indian citizen who has spend almost his entire life here, Ruskin Bond can be seen as, in a sense, a ‘bridge’ between Blyton and much new Indian writing. Now almost eighty, he published his first book, A Room on the Roof, when he was just seventeen. Over the course of his life, he has published more than thirty books for children and edited innumerable collections, mostly with Rupa and Puffin. Most of his books are set in and around the former British hill-station of Mussourie, where Bond still lives, many featuring the semi-autobiographical young protagonist, Rusty. They are simply written, charming and infused with all the ‘quaint’ nostalgia that makes Enid Blyton so popular, and yet, this is an Indian writer, writing about an Indian place, although tellingly one steeped in its colonial past. For the notoriously conservative gate-keepers of children’s literature –teachers, parents and librarians – Bond represents a ‘safe’ option (Indian, but not too Indian) and any book with his name on the cover is assured seller, something ever market-savvy Rupa & Co have been swift to capitalise on. When Penguin opened its Indian office in the mid-1980s, it signalled a new openness to foreign companies. At the time, the rule restricting foreign ownership to less than 50 per cent was still in place, so Penguin entered into a partnership with the Calcutta-based newspaper publishing house and media group Ananda Bazar Patrika. Under publisher David Davidar, Penguin India quickly grew to be one of the largest and most widely recognized trade publishers. The response to their children’s imprint, Puffin, was lukewarm, and it was quickly and quietly withdrawn after a couple of years. It is perhaps a sign of the market’s maturity, and considerable advances in retail, that the Puffin list has done well since its relaunch in 2001, capitalising on the international cachet of its brand name with titles such as The Puffin Book of Indian Mythology, The Puffin Book of 100 Great Indians, and publishing new original work as well as reprinting English translations of well-known Indian authors in its Puffin Classic series. Beginning in the 1990s and continuing through the 2000s, the policies instituted by then finance minister (and now prime minister) Manmohan Singh opened up the market still further. In the late 1990s, Scholastic started up operations in India, swiftly becoming one of the largest children’s publishers, with the twin advantages of a vast range of imported titles – including massively popular series such as Geronimo Stilton, R.L. Stine’s Goosebumps and the 39 Clues. Bypassing the difficulties of selling to an as yet underdeveloped retail trade, Scholastic followed a model that has proved so successful for the company internationally, setting up an extensive network of school bookclubs, selling direct to children at attractively discounted rates. Large multinational firms such as HarperCollins, Random House (2005) and Hachette (2008) set up in India in the 2000s, and have all entered the children’s/young adults publishing scene with varying degrees of success. In her 1998 essay, Mohini Rao  estimated that around 50 per cent of non-textbook children’s publishing up to the 1980s was made up by retellings of popular folk tales or stories from the epics. According to Manasi Subramaniam, not much has changed: “Walk into any bookstore in India and the children’s section will be filled with dozens of different retellings of the Panchatantra and the Jataka” . After a lull of several years when no new titles were published, Amar Chitra Katha (now ACK Media) have recently relaunched their list – featuring heroes and legends both real and mythological and tales of gods, goddesses, gurus – not only in their original comic book formats (although with sleek, new graphics) but also in a variety of digital media. In order to appeal to a tech-savvy generation of Indian kids, the gods and goddesses have taken on new avatars: Chhota Bheem, for example, is one of the most popular cartoon series on Indian TV, and has spawned a whole host of associated merchandise, including books and comics. Indeed, there are any number of small and/or religious publishers who have jumped on the new divine bandwagon: with such snappy titles such as Krishna Photocopies Himself and Ganesha Goes to a Party the Chinamaya Mission, for example, is a good case in point. Although there is much to be celebrated here – strongly rooted, culturally specific stories being given a whole new lease of life – there is also a downside. “Contemporary original children’s writing in India seems to have taken a backseat,” as Subramaniam puts it, and she echoes a common lament when she says, “There exists still the belief that fun for its own sake is to be frowned upon. This deep moralizing is one of the remnants of our fable culture” . Despite this, the variety and range – and general production values – of Indian children’s books have increased enormously in the last couple of decades with the appearance of several dynamic independent publishers. Key among these are three children’s publishers based in Chennai: Tara Books, Tulika and Karadi Tales. All three were set up in the mid-1990s, and have been extremely successful in their different ways. Headed by Gita Wolf, Tara is best known for the ‘artisanal’ quality of its books, their showcasing of tribal art and the care that goes into producing each of their unique picture books. They are by far the most successful Indian publisher to have sold rights internationally, with books such as Anushka Ravishankar’s Tiger on a Tree [fig. 2], and To Market, To Market, selling in many languages across the world and making tribal artists like Bhajju Shyam [fig. 3] and Durga Bai household names. Tara has traditionally relied on foreign rights sales for the bulk of their turnover, and this still forms a large part of their income, although with a burgeoning middle-class market within India, their domestic sales in the past decade have increased by over 40 per cent. Tulika pioneered the publishing of bi-lingual books for Indian children, and is still in many ways the market leader in this segment. They publish books in eight Indian languages as well as in English. The first Tulika book, published in 1996, was a simple – and simply delightful – bi-lingual picture book entitled Line and Circle [fig. 4]. Written by Radhika Menon, Tulika’s founder, and illustrated by the renowned artist Trotsky Marudu, the book won several awards and is still in print. While the mainstay of Tulika’s list continues to be bi-lingual books and multiple language editions, they have also branched out into books for older children, such as Suniti Namjoshi’s Aditi series, Sowmya Rajendran and Niveditha Subramaniam’s irreverent and exuberant Mayil will not be Quiet, and even a Hindi translation of the Swedish classic, Pippi Longstocking. Set up in the same year as Tulika, Karadi Tales, headed by Shobha Viswanath, produced India’s first series of audio books for children, and continues to be the market leader in this specialised segment. Over the past 16 years they have worked with popular actors and musicians, such as Naseerudin Shah, Nandita Das and Usha Uthup, producing over 60 titles, most of which sell over 20,000 copies and many of which have crossed the 100,000 mark. More recently, they have branched out into bi-lingual picture books (notably the Hindi-English editions of Eric Carle’s classics such as the Mixed Up Chameleon and The Hungry Caterpillar), illustrated children’s books, tactile books for the sight-impaired with their Dreaming Fingers imprint, as well as audio books for adults. In New Delhi, Katha started life in 1988 with a children’s magazine and has burgeoned into a multi-faceted organisation that not only produces children’s books – focusing mainly on books in translation – but runs schools, libraries and a teaching programme for underprivileged children. Other major innovators in producing well-illustratred, low-priced books are the NGOs Pratham Books, (which started in 2004 publishing in Hindi, Marathi, Kannada and English, and now publishes between 34-40 new titles in up to 11 different languages), and the Bhopal-based Eklavya (publishing in English, Hindi and Urdu). Neither Pratham nor Eklavya sell much through retail markets, but have built up their own highly successful networks, reaching out to a whole new audience: “We are helping to create markets as much as tapping existing ones,” is how Manisha Chaudhry, head of Pratham Books puts it. Finding that a cover price even as low as Rs20 was too much for many to afford, they launched a new format – story cards, at just Rs2 a copy. To date, Pratham has printed over 8.5 million books and over 10 million story cards, and has a readership of a staggering nearly 25 million. Other independents, such as the feminist publishing house Zubaan with its Young Zubaan imprint, and more recently Duckbill, have proven that the Indian market is ready for more risk-taking, challenging titles for its young readers. Duckbill was founded by Sayoni Basu, formerly of Scholastic and ACK, and one of India’s leading children’s writers, Anushka Ravishankar. One of their first titles published in 2012, was the young adult fantasy-adventure Zombiestan, for instance. Young Zubaan published perhaps India’s first young adult novel dealing with the controversial subject of sexual abuse within the family, Smitten by Ranjit Lal. Lal has also tackled such tough subjects as female infanticide (Faces in the Water) and the 1984 Sikh massacre (The Battle for No. 19). The emergence of writers such as Lal and Paro Anand, whose book on Kashmiri militancy, No Guns at My Son’s Funeral was published by Roli Books in 2005, indicate a willingness on the part of writers to tackle ‘difficult’ subjects, as well as a willingness on the part of publishers to risk publishing them. This is a trend that can only continue to enrich and deepen the field of children’s and young adult literature in the country. The publication of a reader’s guide to the best Indian children’s books. Of these four, three at least have come to pass. Bookaroo, the country’s first children’s literature festival, was held in New Delhi in November 2008 and has grown and flourished each year since. And other children’s festivals have sprung up across the country. The GBO hosted JumpStart, a series of workshops for writers, illustrators, teachers and librarians and a seminar for publishers, that ran throughout 2009, and was followed in 2010, 2011 and 2012 with a two-day consolidated programme of presentations and workshops for professionals. Other publishing training programme have started up since then, though sadly, still very few concentrating on children’s books. In 2009, the Crossword Book award announced a new category: children’s books, and the winner for that year was Siddartha Sarma for The Grasshopper’s Run [fig. 5], a young adult title published by Scholastic. The last on the wishlist, a reader’s guide to children’s books, is to be published this year by Young Zubaan under the title, 101 Indian Children’s Books We Love. Also discussed at that meeting, and often since, was the desire for a national association of children’s publishers. Although this has yet to see the light of day with the increasing numbers of publishers, and a growing awareness of the need for professional skill-sharing and cooperation, many feel that it is only a matter of time before this, too, becomes a reality. The role of the government in supporting children’s publishing is crucial – and a source of considerable frustration as well as of hope. Many feel that with the right leadership, and a progressive mandate, the National Book Trust could – and should – do more to promote Indian children’s publishing, both within the country and outside. In other words, to fulfil the role set out by Nehru as a ‘book hospital’ to find out what is standing in the way of books being purchased and read – and act upon it. 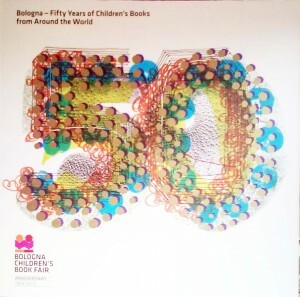 Funding Indian publishers to participate in international book fairs such as Bologna, producing and disseminating information about Indian children’s books generally (and not just its own), setting up an association of children’s publishers – these and many more initiatives could be part of the NBT’s role. But in the face of bureaucratic red-tape, it seems that it is up to non-governmental organisations and private bodies to take the initiative. In 2011, for example, ten publishers  came together to form the ‘Publisher’s Action Group – Ensuring quality books for children’, under the acronym Pag-e, in order “to fight for transparency in the selection of age-appropriate quality books for underprivileged children,” particularly in light of the fact that “book selection is not free of the cancer of corruption destroying our country,” as their mission statement puts it. When the government does get behind good initiatives, the results can be astounding. Under a progressive minister at the time, the Kerala Institute for Children’s Literature thrived during the late 2000s, seeing a sharp rise in the number and quality of books produced in Malayalam. The then director, Rubin D’Cruz also initiated a rights table as part of the annual Triruvananthapruam book fair, where for the first time, publishers were able to meet and sell rights across Indian languages: an indication of the growing market for indigenous translation programmes within the country. At a national level, the Sarva Shiksha Abhiyan (‘Education for All’) programme launched in 2000-2001, allocated Rs40 per child for students of grades I and II to buy books, with an additional Rs1,000 per primary school to establish a reading corner. As part of the SSA initiative, the Bodhi Vriksh programme in Bihar, for example, reached out to the 70,000 government schools in the state, of which over 54,000 attended a series of bookfairs held in all 37 districts over the course of six weeks in late 2008. The publishers invited to take part included Pratham Books, Eklavya, CBT, NBT, Scholastic and Bodhi Prakashan. To give some indication of the sheer scale of this initiative: approximately Rs30 crore (4.1 million euros) had to be disbursed to the schools, some in very remote and inaccessible places, on time and with information about the relevant bookfair; and the publishers had the considerable challenge of bringing over 200,000 copies of each title to Bihar. The transport and storage alone must have been a logistical nightmare! Although not without its problems – CBT, for example, failed to participate at all, and NBT came late – the initiative had a huge impact in a state which suffers from the highest levels of illiteracy in the country, where poverty is acute and many of the children had never had access to books at all, let alone of the variety and quality of the ones made available here. The Bodhi Vriksh was an indication of scale – and the potential – of a term often used to described India: ‘book hunger’. To hope that somehow ‘free market economics’ alone will sate this hunger is foolish in the extreme, and ignores the vast majority of the population where hunger of a different kind is the daily reality. While we have come a long way in the 60 or so years since Independence, the challenges we face today are immense. With dwindling natural resources, stark social inequalities, and an immense and growing population, almost one-third of which is under the age of 15, there is no room for complacency. It is perhaps telling that the judges of this year’s Crossword Book Award decided not to award the prize to any single book. In their public statement they said, “Writing for children demands the best and the freshest of a writer’s imagination, backed by a high degree of editorial skill… We looked for empathy rather than discrimination, fun rather than instruction, audacity rather than political correctness, wonder rather than world-weary ennui — and came away disappointed.” Many applauded this as a brave decision: columnist and writer Aishwarya Subramanian summed it up thus: “We’re only going to receive quality books when we demand them.” It is heartening to see ‘demands’ of this kind only on the increase in India. PubliCon conference, Sept 2011 http://www.ficci.com/events-page.asp?evid=20756. It is pertinent to note though, that FICCI itself estimates that only around 7 per cent of the total comes from the organized sector. Quoted in ‘The Right of Children to Compulsory Education Act, 2009: The Second Year’ report, Ministry of Human Resource Development, Department of School Education and Literacy, Government of India, March 2012. Abdul Hasan, ‘Academic Publishing Scene in India’, from Central Institute of Indian Languages’ National Seminar on Academic Publishing, 1986. 50 Years of Book Publishing in India Since Independence, ed. D.N. Malhotra, Federation of Indian Pubishers, 1998. M. Subramaniam, ‘Children’s Book Publishing in India: A Trade Report,’ April 2012. …and in over thirty languages, including some international ones. These are: A&A Book Trust, Anwesha, Arvind Kumar Publishers, Centre for Learning Resources, Children’s Book Trust, Eklavya, Katha, Pratham Books, Room to Read India Trust and Tulika. ‘Bodhi Vriksh Process Documentation on Book Fair under Learning Enhancement Programme (LEP)’ Report, Bihar, 2008. The World Fact Book, CIA, 2004 estimate. To put this in starker terms: there are more children in India than there are people in the USA. A. Roy, ‘Creating a timeless classic isn’t quite child’s play’, Sunday Guardian, 30 September 2012.